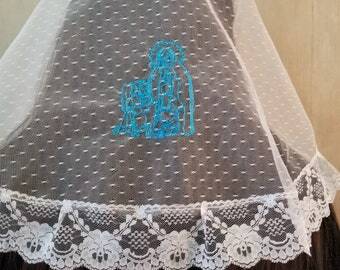 Embroidered Miraculous Medal chapel veil. 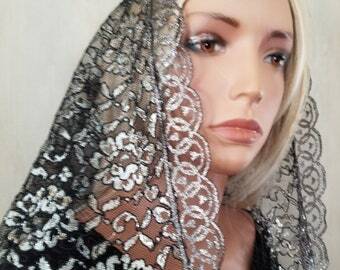 Black embroidery on black point d'espirit lace paired with black lace trim. In a the popular D shape style or request a traditional triangle shape. A beautiful way to honor Our Lady's Immaculate Conception. 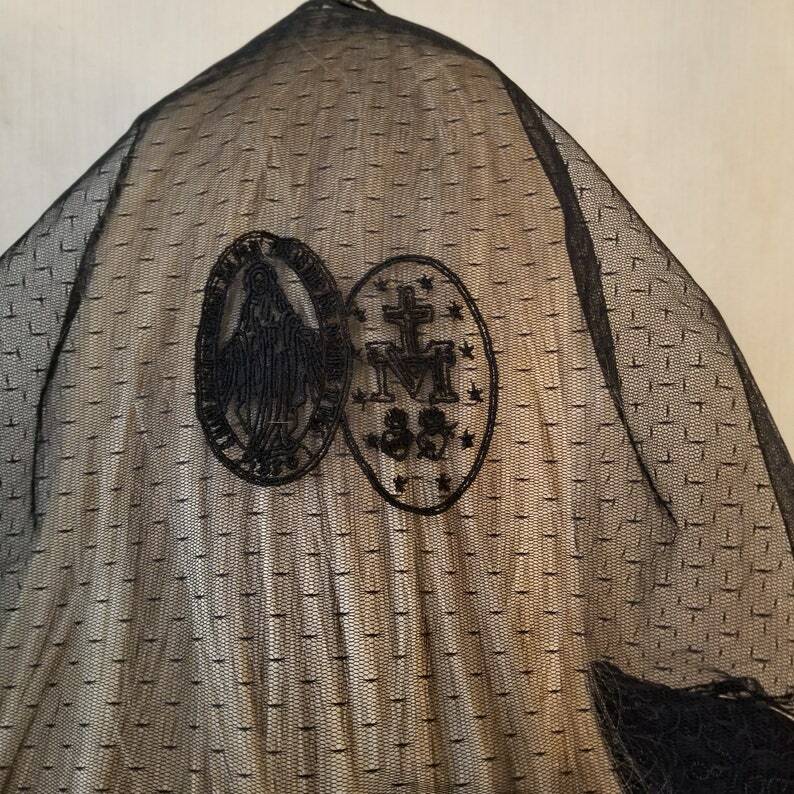 This embroidered mantilla is faithful to the original design that the Blessed Mother gave to St. Catherine Laboure. The words "O Mary conceived without sin, pray for us who have recourse to thee" and the year 1830 are clearly embroidered around the edge. Measures 52" wide by 27" deep. The design is 4" wide by 4.5" high. A hidden loop lets you secure the veil to your hair with a matching bobby pin without damaging the lace. An optional removable comb is also available. 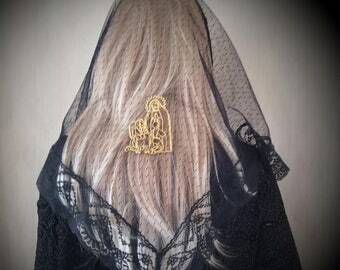 Your veil will arrive in an embroidered rosary carry pouch. 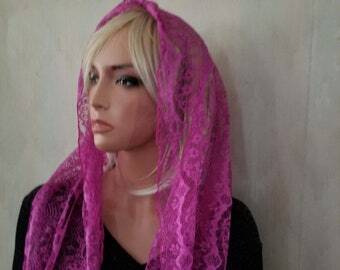 You'll also receive matching hair pin and floral sachet to keep your veil fresh.